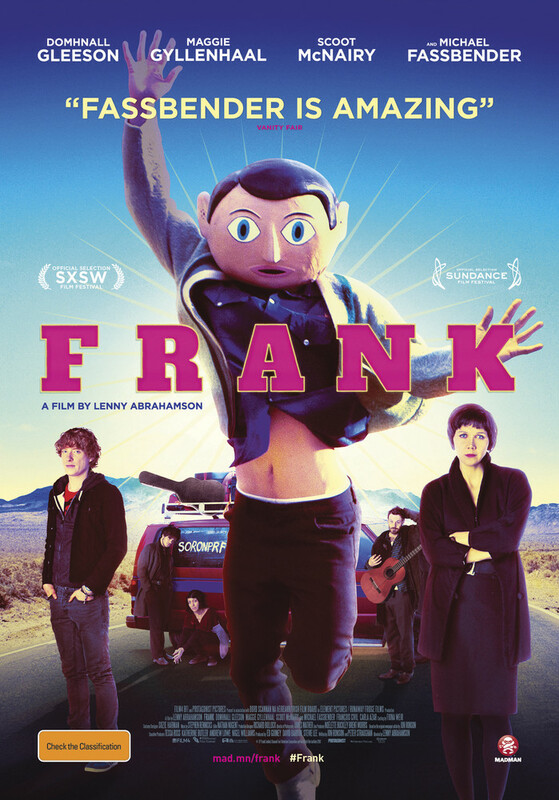 FRANK is an offbeat comedy about Jon (Domhnall Gleeson), a wannabe musician who finds himself out of his depth when he joins an avant-garde pop band led by the enigmatic Frank (Michael Fassbender), a musical genius who hides himself inside a large fake head, and his terrifying bandmate Clara (Maggie Gyllenhaal). This entry was posted in recent competitions and tagged Frank, Madman productions, win win movie passes. Bookmark the permalink.